Prison reforms should include the elimination, or significant restructuring, of minimum-security camps. I have been a federal prisoner since 1987, and since then I’ve served time in high-security penitentiaries as well as Federal Correctional Institutions. In 2003, administrators transferred me to serve the final decade of my sentence inside the open boundaries of various minimum-security camps. I’ve seen, studied, and experienced much of what our prison system has to offer. These camps, I’ve come to conclude, represent a huge waste of taxpayer resources. While I was confined inside the fences of a medium-security prison, I worked my way through graduate school at Hofstra University. 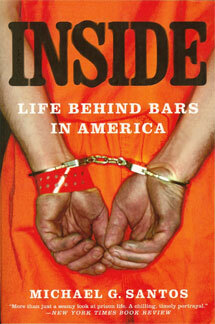 My studies focused on the American prison system and the people it held. Through my coursework, I had the privilege of interviewing Warden Dennis Luther on three separate occasions. At the time, Warden Luther had been a warden for more than 20 years, longer than any other warden in the Federal Bureau of Prisons. I asked Warden Luther what he would change if he had the authority to influence the national prison policy. When Warden Luther gave me his answer, I was only seven years into my prison term. My experiences in confinement limited me to the strict controls of living inside high walls, fences, and locked steel gates. Administrators would not drop my security status to minimum and thus qualify me for camp placement until I advanced to within 10 years of my release date, which was not scheduled until 2013. In 2004, when I transferred to the minimum-security camp in Florence, Colorado, I began to appreciate the wisdom of Warden Luther’s leadership more fully. No fences locked me inside the camp. Instead of structured boundaries, small signs indicated which areas were out of bounds, and prisoners observed those restrictions on their own honor. Anyone who wanted to walk away from the camp would not meet much in the way of physical obstructions. After 18 months at Florence Camp, administrators transferred me to the minimum-security camp in Lompoc, California. I served two years in that camp, where a single officer presided over more than 350 minimum-security prisoners. Every day, more than 100 of those prisoners left the camp to participate in programs that placed them in direct community contact, without supervision, for several hours each day. While confined at Lompoc Camp, I was assigned to a job that required me to drive in a vehicle on a public road at nearly midnight every workday; staff members did not watch over me. Since 2007, I’ve served time with more than 500 other minimum-security prisoners at Taft Camp, near Bakersfield, California. This camp is like an oasis in the desert. We have lush lawns, clean and roomy living quarters, excellent meals, and courteous staff watching over us. Yet the boundaries are open. Clearly, administrators do not consider the prisoners at Taft Camp as posing any threat to society, as nothing but a prisoner’s sense of honor keeps him from walking away. With more than five years of being classified as a minimum-security inmate and living in camps, I now know what Warden Luther meant when he told me that camps wasted taxpayer resources. American citizens fund these institutions with more than $12,0000 per year for each camp prisoner. Locking them inside secure prisons costs several times as much. I understand that the prison system serves a useful purpose in society. Yet over the past several decades, tough-on-crime rhetoric has given rise to powerful unions for correctional officers. Businesses that provide goods and services to the prison system rely on lobbyists to influence legislation. Together, the unions and lobbyists have bamboozled taxpayers into accepting billions of dollars in costs to perpetuate this system that churns out failure. The time for prison reform is now. I may have been incarcerated since 1987, yet I’ve educated myself and I follow the news. Our country is in a financial crisis. Citizens should demand more effective use of American resources. If administrators classify individuals as requiring security, then those individuals ought to serve their sentences in work-release, or study programs that will allow them to prepare for law-abiding and contributory lives. They should earn their own keep. They should have opportunities to support their family responsibilities. They should not enjoy a free ride on the taxpayer, as I have done since administrators transferred me to these open boundaries of minimum-security camp. We need prison reform now. My name is Jesus Rosales and I am one of Dr. Torres’s students at CSULB. I have long felt that the prison system as currently constructed in the United States is failing society and those it serves to “correct”. I find myself in agreement with much of your views on prison reform and the idea of doing away with minimum security camps in particular. I feel that if a person is not deemed a significant threat to society, they should not be incarcerated. Intermediate sanctions and community corrections seem much more logical. However, I read one of your other articles regarding the disparity between sentences of white collar criminals and non-violent drug offenders. I feel that most white collar criminals get off far too easily. It is true that they are also non-violent offenders, but their crimes have far reaching effects. My question concerns the punishment of white collar criminals. Considering that many of them are sent to minimum security camps, how do you propose they be punished if said camps are shut down? Do you feel they should serve their sentences in the community or should they be incarcerated? I’ve mailed your comments to Michael. I will post his reply as soon as I receive it from him. The Warden said he thought we should get rid of minumum security prisons. Do you think they should get rid of these prisons? And if you agree, where will all the prisoners go? The other question I had was about the whole process of getting a criminal through trials in order to put them to death. Do you think that it would be more expensive to put them through the death penalty/trial etc., or to just keep them in prison till they die on their own. At the same time, you need to think about all the food, medical things they get. Do you even think the death penalty should exist? Thank you for taking the time to consider my thoughts. My answer to your question is that I certainly do think that taxpayers should demand the closure of all federal prison camps. They do not provide much value. They are like health clubs, and they should be anathema to all hard working Americans. Any prisoner who is confined in a camp ought to be diverted to a community-based sanction, in my mind. The camps do not serve a purpose because the prisoners who serve time inside of camps have a classification score that allows them to interact with society. If they are not a threat to society, the camp prisoners ought to live in society with electronic surveillance and work at legitimate jobs that will allow them to pay the cost of their confinement. If the prisoner is inappropriate for a community-based sanction, then he ought to serve time in a real prison until he is ready for the community-based sanction. Life in prison camp is easy, though I don’t see the purpose of using $15,000 per year to confine people under the honor system. This is the type of wasted taxpayer resource that has contributed to so much crisis in our economy. Of course my perspective comes from my experience of having been locked in prisons of every security level. I prefer serving time in the camp than in higher security, though I think a better use of taxpayer resources would be to divert nonviolent, minimum-security prisoners to community-based sanctions. I am opposed to the death penalty, as I do not believe it should have a place in an enlightened society.